First, let`s get the facts straight: What you’re about to read is not some magic advice coming from a Captain who flies heavy metal like the Boeing 737s and A320s. You will not see me doing preflight checks on a jumbo wearing a thousand gold bars on my shoulders. Not now, soon. I`m just a simple guy flying small propeller-driven aircraft somewhere in Southern Africa. But what I can offer you right now is some advice from the battlefield. What I mean by this is that I consider myself a warrior daily fighting for his dream to become a Commercial Pilot probably just like you are doing too. In this journey to becoming a Commercial Pilot I have been severely wounded emotionally and I have the big scars to prove it. 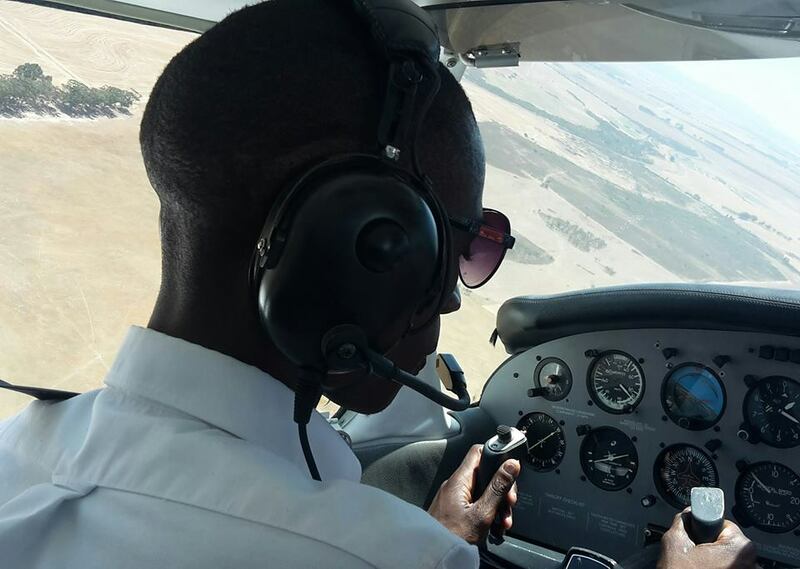 This has led me to make interesting observations of what really works and what actually doesn’t work if one wants to fund his or her aviation career. Aviation is a very capital intensive industry and unless you `rob a bank` or `win the lottery` you will always live your entire life looking up in the sky in admiration of other women`s sons and daughters who are flying. In trying to fund your wings do not make the mistake of waiting for that perfect scholarship or some fantastical bank loan. Forget about flight training loans and scholarships. They don’t work in Africa. If you are stubborn enough and you would still like to chase after the wind hunting for scholarships, well, go on. Five years from now I will pat you on your back, clap my hands and congratulate you for wasting five good years of your precious time. I just hope you won’t slap me in the face out of frustration. And also….. Sometimes the dream to fly is so ablaze in you that you feel quite a strong urge to ask wealthy uncle Joe or aunty Susan for some money. Awake oh sleeper! Who cares about hearing your story nowadays? Everybody is looking after their own sweet selves now. Don’t beg anyone for money. It is unnecessary desperation, a chicken mentality. In fact, take a big hammer and straight away break the begging bowl. The game plan must change…. It`s time to change the game plan now and have a new level of thinking. Instead of focusing on people`s pockets, start focusing on self-improvement, on quality. Improve yourself in all respects- your speech, your conduct, your grammar, your education. Quality attracts provision. They will come begging YOU to accept their funding. Personally, I work as hard as a horse. This is the long-term curse of the African child. In order to achieve, he must work 5 times more than the average dreamer elsewhere. This is what gets the hours in the log book. I write I sell my own products of creativity. For a few months, I worked as a waiter to raise a few thousand bucks for my flight training and it worked. In as much as I seriously hated the job, I was able to pay for a considerable portion of my wings. I’m the kind of guy who only sleeps 3 to 5 hours a day, working almost round the clock to take myself to the next level. Let`s be realistic, Santa Clause is not coming anytime soon. It`s time to create our own happiness boys and girls.